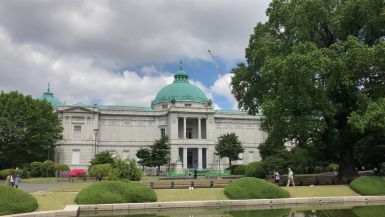 In this excursion, we went to Ueno to visit the National Museum in order to get more knowledge of Japanese history. In Ueno Park, there is a sculpture of Saigo Takamori, who is one of the innovators of the Meiji restoration. I really like the people who have done the innovations, so I’m gonna study more stuff about his story. I met a nice guy from grade one. He comes from South Korea. We have many of the same hobbies, and we both speak English and Japanese very well. I'm looking forward to learning more Korean from him. lol. I have respect for our new friendship.